Does HIPAA guarantee privacy for my medical information? "The massive surveillance system built up over the last 10 years is the domestic companion of overseas drone killings." BTC - According to the Lt. Gov Peter Kinder, a Missouri local applying to renew a license filed a complaint with the State Attorney general over a DMV request for information to forward to an external DHS database. 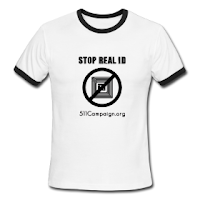 Missouri has a history opposing the Real ID Act. Missouri has been one State among a recent spate of States confronted with more compliance on Real ID. Previous reports cite 25 State's laws or statutes issuing policy bans to certifying licenses for federal purposes. 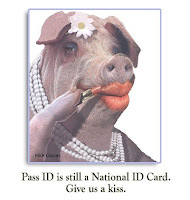 CSDL, a Real ID regulation lobby, report compromises from State's who have refused to comply with the Real ID Act, like Alaska. If true, at least some the situation appears to be a move independent from State government by DMVagencies fielding recommendations made by DHS and AAMVA. We are making some production shifts to welcome better returns on our investments. BeatTheChip is scaling back the amount of hours to produce content online. This move supports the fiscal interests of those who work to bring you the news. Starting today, March 3rd, 2013 we will be producing the following limited schedule which includes Twitter social media shifts on Pacific Standard Time. One weekend day every other weekend. We will continue to bring you news, it just won’t be as frequent. If anyone has any further questions, please contact us.